The first days of school are always an exciting time for new students. Everyone is eager to be begin their new journey towards knowledge, new friendships, and academic success. Students are always very appreciative to receive promotional items during their New Student Orientation. Providing great promotional products is the perfect way to welcome incoming students and help them get off to a great start at college or university. 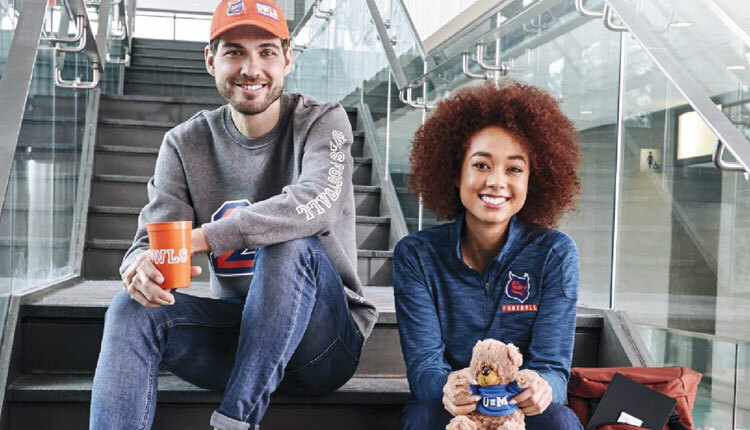 iPromo has a variety of great promotional products that you can hand out to new students during orientation, and we have prepared the article below to give you some great ideas of what you can offer. Below, you will find a list of 9 amazing promotional products you need for new student orientation. A computer bag is pretty much the perfect promotional product to distribute to new students, because computers have become essential for studying and completing classwork. Our custom laptop bags are sturdy, stylish, and practical. You can also adorn each computer bag with your university logo or slogan for increased brand recognition. We have a large variety of bag types to choose from that will make life easier for any computer-toting student. Staying hydrated is always important, especially if you are a new student at university. Often times, new students are learning to live without the guidance and help of their parents for the first time in their lives. By providing promotional drinkware at a new student orientation, you are emphasizing the importance of hydration and encouraging a healthy habit. Student athletes will be especially appreciative of receiving great drinkware at orientation. Our drinkware comes in a variety of shapes and sizes and can be customized with eye-catching artwork or school logos. As a student, you can never have enough t-shirts in your wardrobe. Branded short-sleeve t-shirts are a great promotional product to give incoming students because they are useful, comfortable, and provide a great opportunity for them to show their off their school spirit. iPromo offers both male and female short sleeve t-shirts that will certainly put a smile on the faces of new students at orientation. A PopSocket is a device that makes smartphones or tablets even more user friendly and functional than they already are. They are collapsible and expandable plastic devices that provide a sturdy grip so that you can take photos and send texts effortlessly. They also function as a stand that allows you to easily view video content on your phone. Students these days are pretty much addicted to their phones, which makes a Custom PopSockets a great option for products to pass out at New Student orientations. Another great choice for promotional products to issue at a New Student Orientation are promotional power banks. These devices allow for portable charging of electronic devices, which can be a huge help to students that are on the go. Sometimes, students are burning the midnight oil and are trying to work on classwork in a space without easy access to power. A power bank can potentially save the day by allowing them to charge their technology on the go and get back to work. A college student can never have too many flash drives in their possession. These tiny USB storage devices will allow students to easily save papers, essays, and projects and transport their files effortlessly. iPromo can also help you customize on of our best selling flash drives, or create a fully 3D custom shaped flash drives in any shape you can think of! Imagine how cool it would be to pass out flash drives shaped like the school mascot at orientation. Even though students have become accustomed to using technology for most of their classwork and studying, there is still a necessity for writing the old-fashioned way. Promotional Ballpoint Pens are a great product because they are sensible and will certainly get used by students. People always love to have a pair of promotional sunglasses handy, which makes this item a great choice to handout at New Student orientation. iPromo offers lots of different types of sunglasses that can be customized to your liking. Since new student orientations usually are held in the summer, this sun-blocking item will certainly be well received! Having the option to throw your stuff in a bag and head out is always a good thing, especially for students that are always on the go. The Clear Sling Bags for Stadiums are a great choice because they are lightweight and made with see through material in order to meet stadium regulations. iPromo has been customizing promotional products for over 19 years for all visions and ideas. We would love the opportunity to help you increase your student engagement and school pride through amazing promotional products. If you would like a free custom quote and virtual logo preview, just start a “Live Chat” or give one of our promo experts a call at 888-994-7766.